Discussion in 'Disney for Families' started by allymouse, Aug 8, 2018. Hi All, will be visiting in November for the first time with a child! Our son will be 13 months old. So excited! I’m debating which stroller to bring with us, our Chicco Bravo which is a larger, heavier stroller with all the bells and whistles, or a lightweight umbrella stroller. This will be a long trip. November 3 through the 10th we will be staying at a timeshare with family at the Marriott World Center. We will only by in the parks a few days and we will be driving. We will check into the Polynesian on the 10th and stay until the 13th. We plan to visit Magic Kingdom for a full day and then split a day with Epcot and Hollywood Studios. Our regular stroller, the Chicco Bravo, has lots of storage, you can even store things in the basket when the stroller is folded. Has cup holders, place for phone, and a sun visor that covers my son just about completely. It folds neatly in half but it’s heavy. It can get tiring to push. so light! Folds up with a strap to carry on shoulder. Barely a chore to push. Slimmer and great turning radius. This one has barely any storage though and the sun visor is small, barely covers him, but apparently I can buy an extender. Which one would you bring and why? I suppose the days we drive it’s really a wash. The days at th Poly will mostly be monorail (do you have to fold it up?) and only bus for HS. We’re taking our umbrella stroller (a Chicco Liteway). It may not have as much storage as our jogging stroller, but we use a backpack that can be put on the handles, and we don’t bring much into the park (diapers, wipes, sunscreen, a toddler snack or two, and our water bottles). It folds up quickly and easily, and it’s much easier to navigate crowded or narrow areas. It’s so much lighter to push. If the monorail is busy you may be asked to fold up the stroller. On the bus we always have to fold it. Folding my bigger jogging stroller and hefting it onto the bus is more of a chore and it’s heavier to push around all day. When it’s loaded up with stuff it isn’t any lighter and the smaller stroller forces me to limit the amount of stuff I pack. Maybe the choice depends on how much gear you plan to carry? Hmmm. Adorable Mickey Jansport backpack to serve as diaper bag and hold a few small items for me, sweatshirts for mom and dad, baby bjorn carrier. I'd take the Summer Infant 3D. I've used the same one and it's gotten me through multiple park days without issue. It's especially nice to have the smaller stroller on the bus (if you're bussing between the parks or from your resort). I also had the extender for the sun shade. Handy if DS was napping, but otherwise found he wanted to see everything and it was restrictive. You might find the same with your bigger stroller, too. You'll appreciate the lightness of the smaller stroller, IMHO. I'd take the Summer Infant 3D. I've used the same one and it's gotten me through multiple park days without issue. It's especially nice to have the smaller atrollst on the bus (if you're bussing between the parks or from your resort). The issue with the sun screen is that it’s not covering my small fry - and I don’t want him to get burned. With the cover, was it cumbersome to use? Could you adjust the coverage? Did you use the one made by Summer Infant? Thanks! I don't recall it being adjustable, though. Hi. We're in a similar situation. We took our little guy when he was 7 months end we used our britax b agile. It is a smooth ride and sturdy but also bulky and a pain to lug on the buses. We stayed at cbr and thus used the buses multiple times a day. For Christmas I asked for a nice umbrella stroller and got a uppababy. It has an amazing sunshade and reclines. It has decent storage and rides smooth. But I feel like it doesn't fold up to be very compact. I started to wonder if I should take our original stroller since it's a bit more sturdy but my umbrella stroller is very nice. We're also staying at the poly so hopefully don't have to worry about folding it up too much as we have a bulk of our time at mk. I guess I'm of the opposite opinion. If I am going to be at the park all day, I want my best stroller, with all the bells and whistles, the storage space, better parent console, better shade, smoother more comfortable ride (for naps). The extra hassle of transporting it to the parks is well worth it for me. I've done Disney with my city mini gt twice and never once wished I had my umbrella stroller. Next visit I'll have the city mini double. Caveat - I've always stayed at a Disney resort (never had issues with the busses, but I've always had other adult help). OhDannyBoy, maxiesmom and tvsdisney like this. Completely agree with this!! I take my uppababy vista with me. Yes it’s heavier but the sunshade nearly covers him and I love the storage. I have a uppa g-luxe too and I honestly hate that stroller in comparison. The storage is small and hard to get in and out of, his legs aren’t covered from the sun and if you hang something on the handles nd then take your little one out it tips over. Drives me nuts! I vote to go with the bigger stroller! 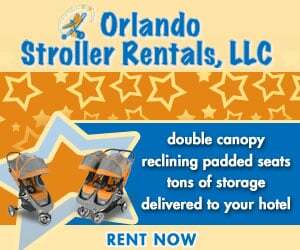 100% your full size regular stroller. In my opinion Disney is no place for umbrella strollers for younger kiddos. You're going to want a place where they can nap comfortably, have a good sun shade, have good storage and cup holders etc. Also, we go to Disney every year for at least a week and have stayed at every level of resort, using all transportation. We have never been asked to fold our stroller on anything (multiple boats/monorails) that didn't require it to fold to fit. Obviously buses all strollers have to be folded and the smaller resort boats, but never on the medium/large size boats nor the monorails, always just wheel it right on. I had a Chicco stroller. It was heavy and not very maneuverable so I wouldn’t have taken it to WDW. My City Mini was awesome in the park though. It was lightweight and maneuverable, had plenty of storage and a big sunshade. I can’t judge the umbrella stroller without seeing it. I had my uppababy g-luxe. The recline option was great, the sunshade was big enough for her, the bigger net underneath was useful, the height was comfortable, and it folded Small and was light enough for the crowded buses, monorails, and boats. IMO, you get what you pay for with umbrella strollers and it’s worth the extra $150 over the course of the 3 or 4 years you’ll be using it to upgrade to a better one with more user-friendly features. The Summer Infant 3D Lite isn't a typical "umbrella stroller", though. It's far sturdier, reclines for naps, etc. I'd agree that I wouldn't use a standard umbrella stroller with a child that young. But this particular one is more middle ground. Take whichever one is more comfortable to push for days on end. You don't want to end up with a sore back from pushing an unwieldy stroller, or one that has such short handles that you have to walked hunched over. I brought the grandparents stroller which is regular sized but cheaper and less frilly than our normal stroller and I had major regrets! I say go with the stroller you’re most comfortable with. Our second trip with a stroller we brought our Britax and it was soooo much easier! On our first trip with my youngest, we took a lighter-weight stroller that could be made into a pram or that could flip the seat backwards. While it was great for what it was, on every subsequent trip, we took our BOB running stroller. And I have NEVER regretted taking the BOB. It's more comfortable for DS, especially for napping and escaping the sun/heat. Sorry for the delayed response - I appreciate all of this awesome advice! We are going to take our Chicco Bravo. At his age his comfort is key. It might be a little bulkier than the umbrella but I think we will be happier in the long run. I also envision us parking the stroller more often than not and wearing my son in the bjorn. Thanks again! My DW and I were just talking about which one we are going to bring in Dec for our then 23 month old and decided on the larger of the 2 simply for storage, cup holders, and, at least at this time, my DD takes naps in it a lot. The umbrella one we have is great for short trips, but she won't nap in in, it barely can hold anything, and has no cup holders. We are driving our own car so buses won't be an issue. The car lot ram, monorail or boat, and the train ride might be a bit of a bear, but we can manage.